Bonus Reward Points earned in the Bonus Points Mall are subject to the Bonus Points Mall Terms and Conditions. Bonus Reward Points cannot be earned on the purchase of gift cards, on GST or on delivery and shipping charges. Bonus Reward Points may not be awarded on any voucher, coupon or discount code that is not displayed from the Bonus Points Mall, including coupon codes: HUNDRED, LIFELINE10 & BUDDY. Bonus Points will not be earned on cancelled, refunded, or amended transactions. Some retailers have their own policies and restrictions. Before shopping, please ensure you review the Special Terms of Booktopia (above) for further information. Complete your purchase in one session and without leaving Booktopia. Do not click on any bookmarks or advertising banners or links once you leave ANZ Bonus Points Mall. Postage costs $6.95 per order for parcel mail with tracking for anyone with an Australian delivery address. You may also select Express Post for only $14.95 per order to ensure your parcel arrives as quickly as possible. Express Post is only available for addresses in Australia however not all areas are covered by Australia Post's Express Post Delivery Network. Booktopia only ships internationally to New Zealand. We accept Visa, MasterCard, American Express, Visa Debit and PayPal. 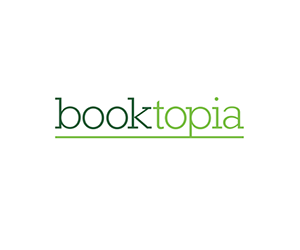 Before returning any items please contact the Booktopia Customer Service Team to discuss your reason for requiring a return and organise an approval to return an item to Booktopia. See site for more details.